In 1999 the Minnesota Timberwolves signed former #1 overall pick Joe Smith for a $1.75 million 1 year deal which was surprising considering the Warriors offered him an $80 million contract extension before he was traded. Apparently, the deal was that the Timberwolves would sign 3 one year deals so they could go over the cap to sign him to a deal that would grant him up to $86 million, abusing what is known as the Larry Bird rule. 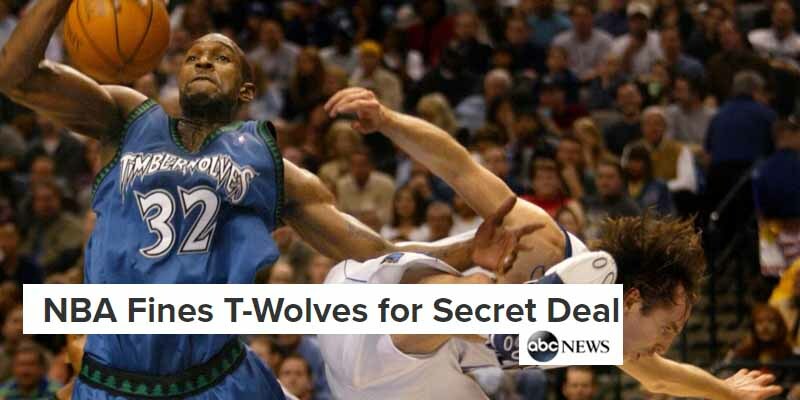 Eventually the league found out and the T-Wolves were fined $3.5 million and forfeited their next 5 first round picks.